We are all , to some degree living in a self created prison , collectively and individually . 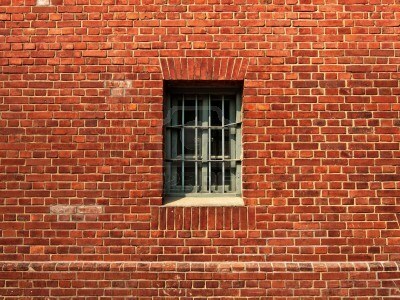 The prison walls are constructed out of ( bricks or definitions ) which we use to build our prison (walls or belief systems ) that en prison us. This process is so subtle that we do not realize we are even imprisoned , and that we are both the prison guard and the warden. So here we can see that our “Definitions create our Beliefs ” and our beliefs to a large degree will determine our “State Of Being ” … and our state of being determines the type of experience we will have . So how do we break down the prison walls ? Well… using this analogy , since our definitions are the building blocks of beliefs , we should probably start there, it’s time to take a hard look at our definitions , meaning how we define things , for example lets take a look at the definition of “Abundance” , since our level of abundance is often associated with our self worth here in physicality. Most of us associate abundance with money , money is probably the most powerful symbol on planet earth for the idea of abundance , why , becasue with money we can buy the material things that we associate with abundance , Food, Clothing , housing , Cars , entertainment , our social status and so on , without money we have no access to those things , so it’s no surprise that money is our primary symbol for abundance.